This is a badly damaged but still recognisable chambered barrow that stands immediately next to the A40 which was formerly the Roman road of Via Julia and before that an important prehistoric route through the hills. Access is problematic although it is possible to park in the driveway of the nearby hotel but be careful, the A40 is a very busy road. 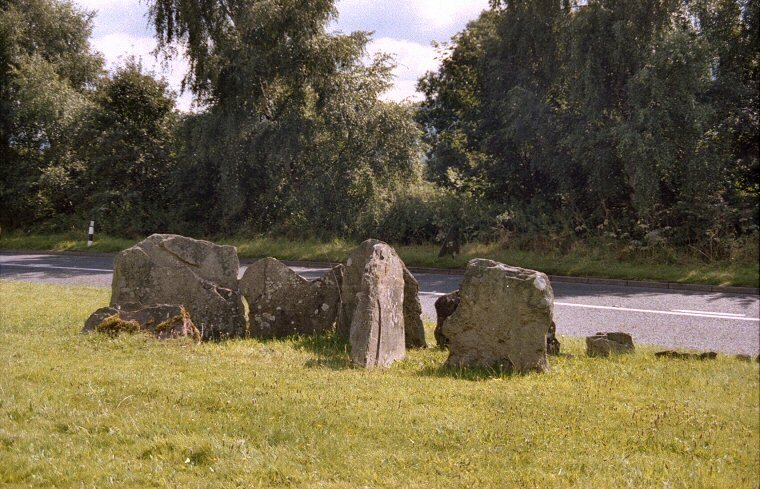 The site has a long history as flint microliths dating back 7000 years to the Mesolithic era have been found as well as cereals and nut shells and evidence of timber post holes indicating occupation of the area during the Neolithic (possibly around 3750BC) Shortly after this a 45 metre long trapezoidal stone cairn aligned roughly southeast to northwest was built over the settlement with a horned forecourt at the eastern end with a blocked or false portal consisting of a single slab stone. This Severn-Cotswold style of barrow can be seen at well preserved or restored sites such as Belas Knap and Stoney Littleton. 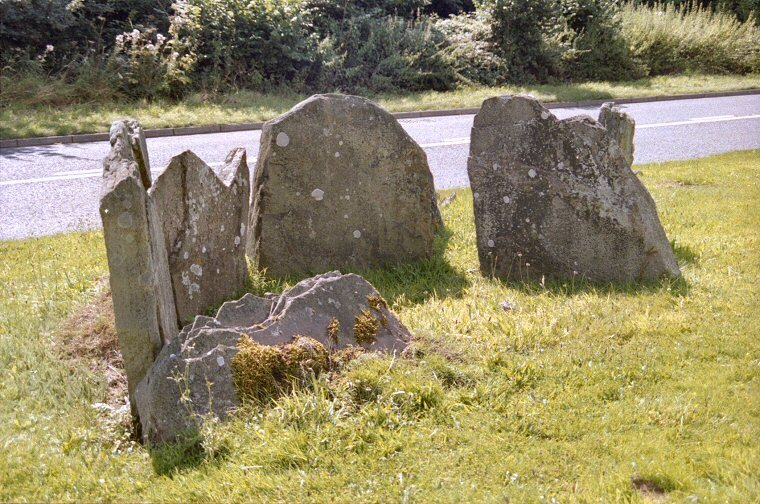 Built into the side of the mound were 3 stone burial chambers with capstones, 2 of them on the southern side and the other on the northern side - there was also a possible cist or small chamber towards the tail end of the barrow. It is the remains of one of the southern chambers with its entrance that can still be seen today - most of the rest of the barrow including the other chambers and the mound have been destroyed during various road building, alteration and excavation projects although the outline of the barrow is now marked out with small concrete posts.